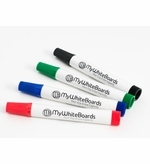 Accessories for dry erase boards and whiteboards. 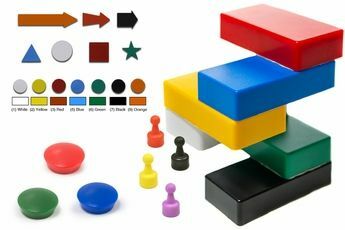 Colorful magnets and magnetic accessories as well as markers, cleaners, erasers and chart tapes. 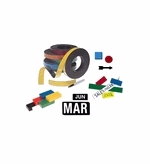 We've got all the board accessories you need to make the most of your office calendars, planners and scheduling boards. 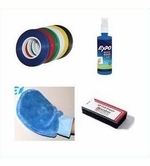 We also have all the supplies to clean and maintain your dry erase boards to help keep them looking good for a long time to come. 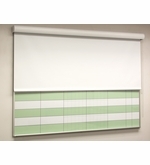 We can help you to make your own customized planning or scheduling boards using our colored vinyl chart tape available in 3 different widths and six different colors. 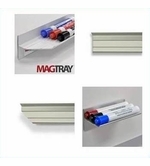 Then you can enhance your board with our full line of magnetic accessories. 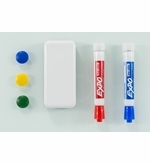 We have magnetic supplies for all of your magnetic dry erase boards or any steel writing surface including magnetic marker trays, colorful magnets and indicators and colored magnetic write-on, wipe-off ribbons for planning and scheduling boards. 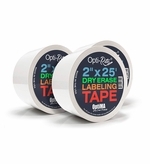 Looking for dry erase or damp erase markers? We've got those too. 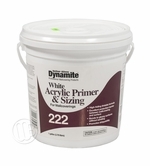 Dry erase markers will wipe off with the swipe of a soft dry cloth but damp erase markers like those used with overhead projectors need a damp cloth to wipe them away. If you've got a scheduling board or calendar you might want to use damp erase markers vs. dry erase so that your information only gets erased when you want it to and not by accident. 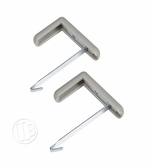 Screw adjustment allows hanger to fit wall thicknesses from 1" to 2.5". Sold in sets of two. 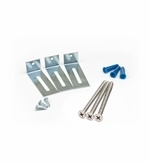 Board installation hardware kits. Good for all Marsh Industries type boards and most others. 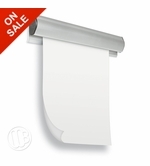 Introducing the safer alternative to cork map rails, tack free paper hangers and display rails. 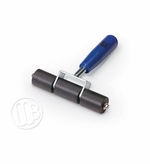 Weighted application tool for applying peel-n-stick dry erase panels. 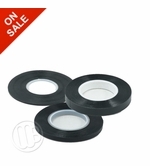 Clay based semi-permanent adhesive covers 250 S.F.